People found guilty of financing extremist activities or expressing supporting for them online now face prison terms under a bill signed into law by President Vladimir Putin. In January, Vyacheslav Dmitriyev, a member of Moscow State University's philosophy department, was briefly detained and questioned by the Federal Security Service for reposting an article about a theoretical coup d'etat on a social network, Slon.ru reported at the time. The bill was approved by the State Duma, the lower house of parliament, on June 20 and by the Federation Council, the upper chamber, on June 25. 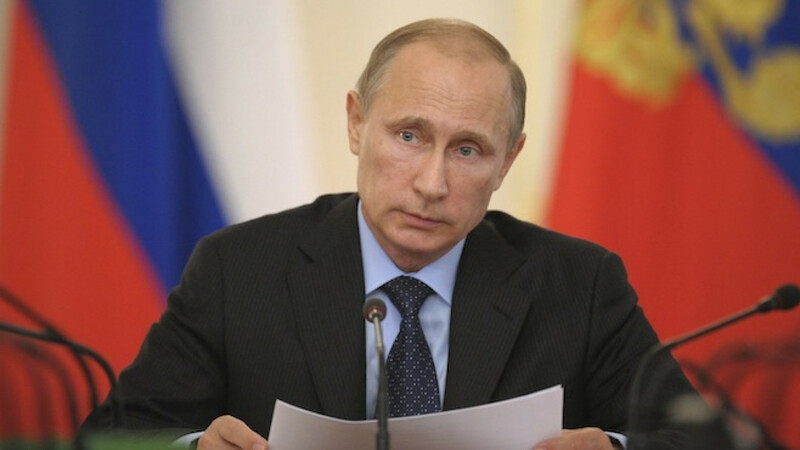 It was published with Putin's signature on the government's legal information portal Monday. The law also entails the addition of a new article — "financing of extremist activities" — to the Criminal Code. Those found guilty of providing or collecting funds for an organization known to be preparing an extremist crime will face up to three years in prison, as well as up to 500,000 rubles ($14,700) in fines and being barred from holding certain positions. Public incitement of extremism — including in the media and on the Internet — will get the offender up to five years in prison. Anyone found guilty of organizing the activities of a group deemed by the authorities to be extremist will also face time behind bars: up to eight years in prison and up to 500,000 rubles in fines. Roskomnadzor, Russia's official media watchdog, is in charge of compiling and updating the government blacklist of websites found to contain extremist material. Currently, there are more than 2,000 websites on the list.